This is a mild pork sausage seasoning. Nutmeg and ginger combined with maple flavoring give the sausage a flavor that is a favorite of all ages. One 10 oz. 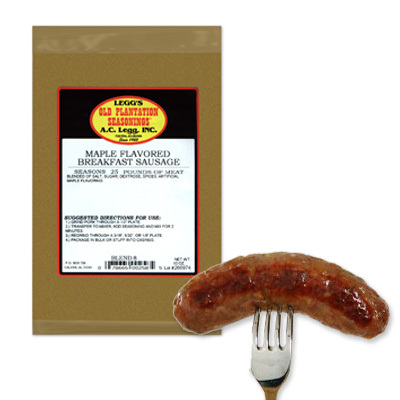 Bag of AC Leggs Old Plantation Maple Flavored Breakfast Sausage Seasoning Blends 25 lbs Of Meat.